They knew they had to make it bigger and better. Kemi Adetiba’s ‘the Wedding Party’ had shot to the top of the charts as the highest grossing Nollywood movie of all time, blending Nigerians’ love for glamour, casual tribalism, and family drama into a cocktail of our favourite event, the high-profile Nigerian wedding. In an era of cinematic universes and the end of endings, they needed a sequel. But how do you top the biggest wedding, scratch that, the biggest party—because is there any party bigger than a Nigerian wedding—of all time? There was only one way; you go abroad. The Wedding Party 2 would be a destination wedding. Eleven months after we first watched Banky Wellington and Adesua Etomi tie the knot onscreen, they got married. 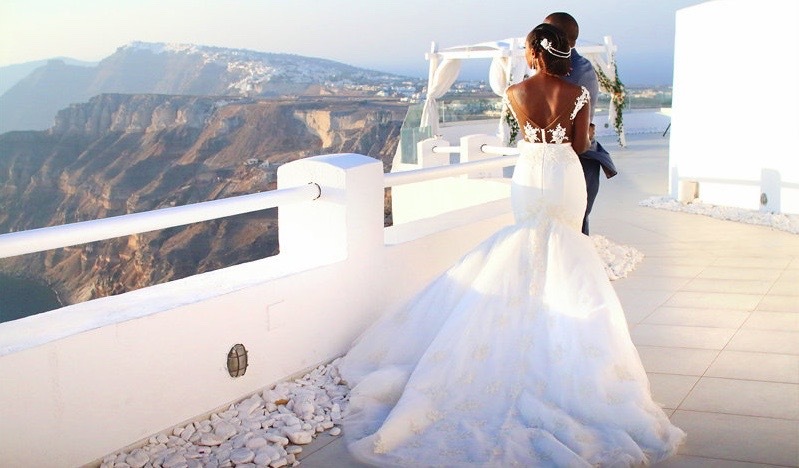 Life imitated art again shortly after as just as The Wedding Party 2 hit the big screen in December 2017, Nigerian couples were storming the beaches of Sardinia and villas in Greece for their nuptials. 2018 was the year of the destination wedding. There is no such thing as excess when it comes to a Nigerian wedding. You expect to see Robin Thicke perform or a car as a souvenir. With ceremonies that cost up to $277,000 and host thousands of guests, the multi-million dollar industry has also paved the way for thriving niche industries in entertainment. From makeup artists and fashion designers to specialist sites like Bella Naija and wedding digest, the wedding “services” industry has boomed. For a long time, the venue was in the fine print of the wedding plans and adhered to a simple rule: the bigger, the better. 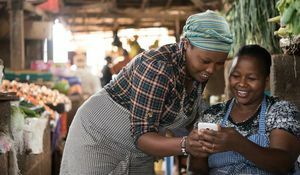 But as weddings became more expensive and competitive, and the Instagram generation became empowered to make their goals a reality, a new export market was born. Held away from home, usually in a fancy and luxurious atmosphere, destination weddings give a holiday wedding vibe. Unsurprisingly, Southern European countries like Italy, and more recently, Santorini in Greece, are preferred locations. 117km north of Crete, the birthplace of Zeus, and shaped like a crescent moon, sits Santorini. The volcanic island, famous for its stunning sunsets and white villages, has been one of Europe’s most favoured destinations in recent years. As is the usual fashion, a lot of the visits are from Nigeria's elite. Led by the Greek government’s deliberate efforts to promote tourism as a bedrock of an ailing domestic economy, local authorities emphasised creating authentic vacation experiences for visitors. And with the cost of living slashed by prolonged economic malaise, the birthplace of Western civilisation became a huge draw for holiday-makers and party-goers. 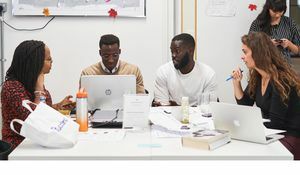 And it is here that Adebola Awonuga*, a 27 year old London-based project manager, had her white wedding in June 2018. “Santorini made a perfect destination for my wedding because we were already spending so much money. It just made sense to go all the way out,” she tells me. But before then, there was the small matter of her traditional wedding ceremony in Lagos, Nigeria. There are many unwritten rules of Nigerian weddings. The wedding is really for the couple’s parents, not the couple. Most guests are there for the party, not the wedding. Go where you want to for your white wedding, but your traditional wedding must be in Naija. Even celebrities are subject to this rule. Both Tiwa Savage and “Toolz” Oniru held their traditional wedding ceremonies in Lagos before jetting off to Dubai for their white weddings. Nnenna Okeke*, a sales and business development associate in Lagos, is unsurprised by this trend. “Having a traditional wedding in Nigeria is fitting. It’s a ceremony that is supposed to respect your lineage, so it makes sense that it takes place Nigeria,” she says. As far as guests go, Ms Okeke is a veteran, having attended two destination weddings in just over a year. Practicality prevails in this situation, as traditional weddings often involve certain customary rites and rituals. Yoruba weddings are officiated by Alaga Ijoko and Alaga Iduro, masters of ceremony (usually female) who serve multiple functions as spokeswomen and negotiators on behalf of the two families, the primary source of entertainment, and anything else that will keep the money flowing into their trays. A destination wedding is unlikely to accommodate any of this. Countries have their own codes of conduct that may stifle the richness of traditional Nigerian ceremonies. For example, bringing a ram as part of the items to gift the bride’s family (a usual practice) will not fly in most places outside Nigeria. It’s true. Nigerian parents are known to celebrate the big day of their children with many guests who may or may not know the couple. Somehow, the practice has become an extended joke, one Adebola can attest to from her experience. “There were friends of extended family members and friends of friends,” she laughs. But if parents call the shots at traditional weddings, they are much less at ease outside the shores of their home country. So, when couples that can afford to want to keep a firm grasp of the modalities of its ceremony, they go abroad. The sky is a reddish hue, the setting sun casting a shadow over the buildings lined vertically on one of Santorini’s hills, each of them crisp white with coloured roofs—mostly a shade of blue like the surrounding Mediterranean Sea. Picturesque. Soft music fills the air as the couple dances in front of a live band. At the bridesmaids’ table, a waiter inspects a peculiar bottle of wine. Rosé. Made from grapes grown a few hundred kilometres away from the ceremony. Authentic. Hours later, the dancefloor is full, the crowd morphing into one as close friends embrace the happy couple. In a corner, some guests plan the after after-party. Bliss. It doesn’t get any smaller and more intimate than a destination wedding, according to Modupe Daniels*, a 27 year old consultant in Lagos. Ms Daniels, another one who has attended multiple weddings abroad, believes that the desire to keep out gate-crashers drives Nigerian couples to seek more exclusive climes. If that seems a bit excessive, you underestimate the Nigerian desire to be present, and our conditioned fear of missing out. Not content with copying the Hollywood Wedding Crashers title, we even have tutorials on how to properly go about it. Wedding crashing hit a humorous high (or low) when celebrity brothers were reportedly stopped by security from crashing a wedding in early 2016. 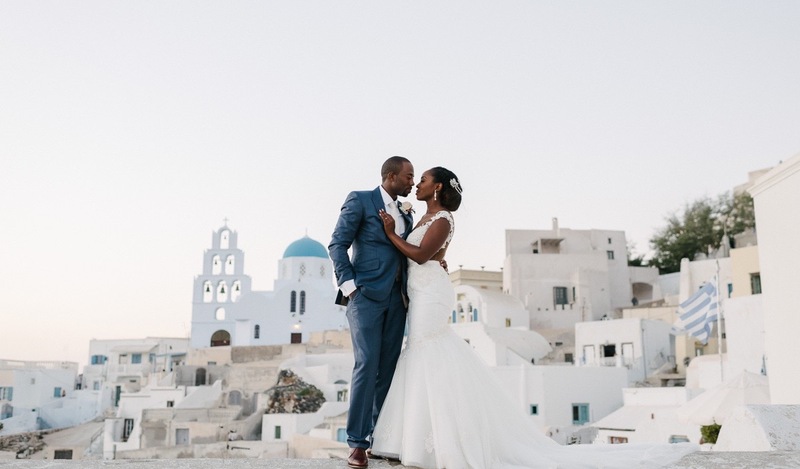 Adebola Awonuga confesses that the major difference between her two ceremonies was that Santorini had fewer people and was more intimate. Most attendees were her friends and family, and she had time to bond with them. While her ceremony in Lagos was fantastic, it was filled with people she didn't know really know. But it’s difficult to get all your friends to travel for your wedding, Ms Awonuga admits. People are constrained by visa restrictions, finances, schedules, and other complications. “Some people couldn't make it to my wedding because they could not get their visas on time. I hadn't realised the requirements were so strict,” she tells me. While Awonuga never intended for her friends to miss out, for others, this is the subtle plan. Visa and financial impediments are a convenient way of whittling down the guest list. No need navigating complicated political and familial relationships to exclude people if the European Union will do that for you. For those that successfully make it to a destination wedding, the trip doubles as a holiday. “There's this vibe of a fresh environment that comes with a destination wedding. Some couples consider a new atmosphere for their big day,” Ms Daniels asserts. With its beautiful white clay buildings, ancient heritage, and an economy geared to serve tourists, Santorini is a perfect holiday getaway, and the same can be said for many overseas wedding destinations. Like all Nigerian weddings, destination weddings can be pretty expensive. But while the couple typically saves a little bit, guests are asked to stump up more cash. A round-trip to Southern Europe, accommodation, and meals can cost thousands of dollars, meaning guests at destination weddings are the elite. The 1%. Sometimes, though, couples cover for some of their guests. Overall, the logistics and finances are not so different from your typical Lagos Saturday wedding. 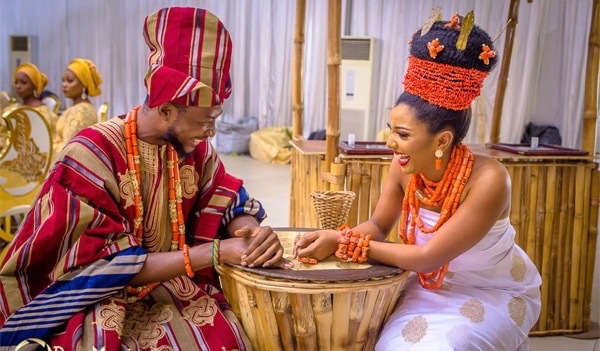 Nigerian wedding culture is famous; it’s about time we exported it.